I am working on developing a new product that will require cannabis derived terpenes (yes, I know they are found elsewhere in nature, but for the image of the product, we need 100% cannabis derived terpenes). Do you all know where I can find a quality source? While we’re talking about Cannabis derived essential oil. 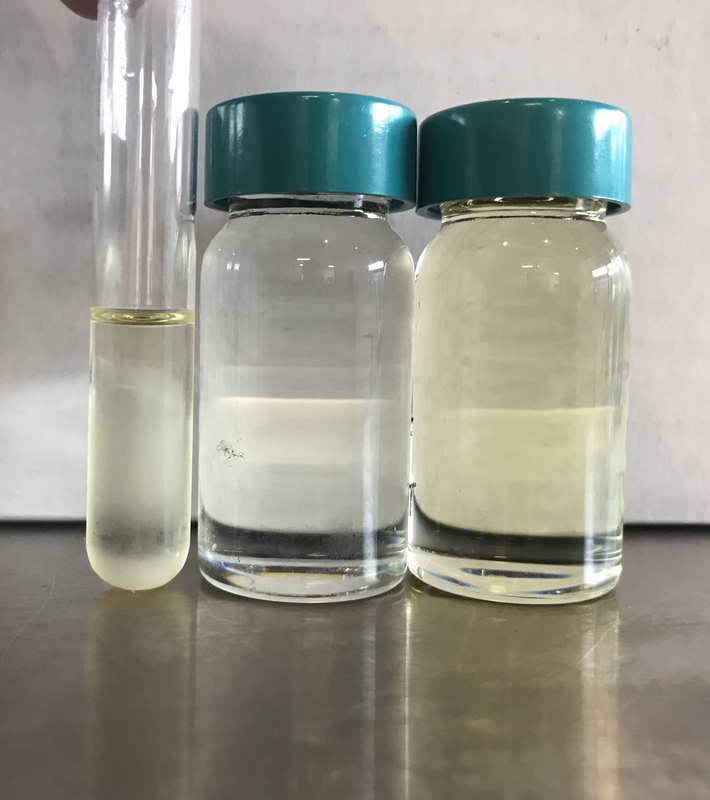 On the left a thin test tube of steam stilled Cannabis oil, that have the same off caramel/grass smell all steam stilled Cannabis oil has. You literally have to train your nose to ignore them to make sure the rest of the oil is decent. The middle vial is proper oil, colorless as it should be, smelling like the high notes, the original flower gives when you open a fresh jar of Grizzly peak Gelato. We discovered how to do it accidentally on purpose. Trying to figure out what we were doing wrong we finally were able to prevent degradation of these flavors so that the off caramel smell was gone and the grassiness remained. This is the sample on the right. These are the compounds that are in the plant that give the off color in steam stilled oil, grassy but no caramel. I’m still muddling around with ideas on how to use them. Anyone want a vial to mix with a fake terpene blend for diluent? Do you have the middle vial for sale? Do you use steam distilled for the middle one and right one as well?